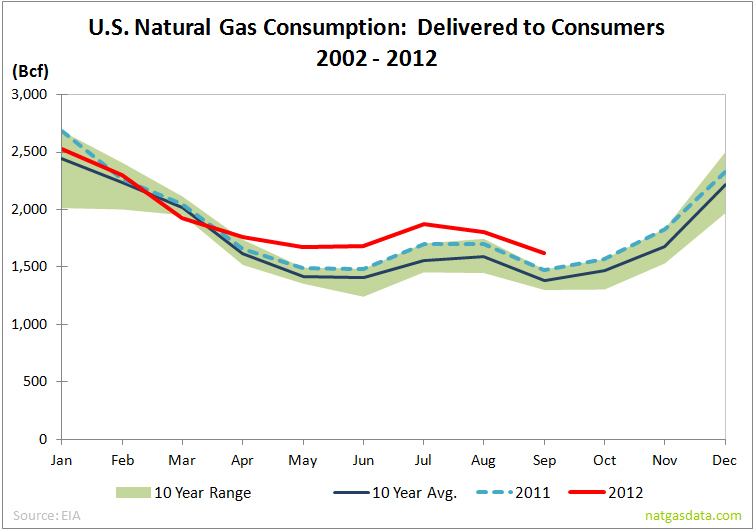 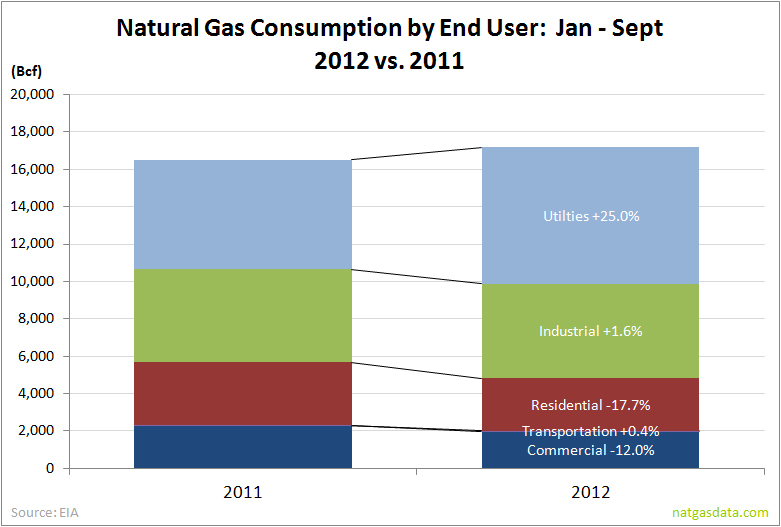 Consumption continues to be driven by utilities, as consumption by residential and commercial users dip. 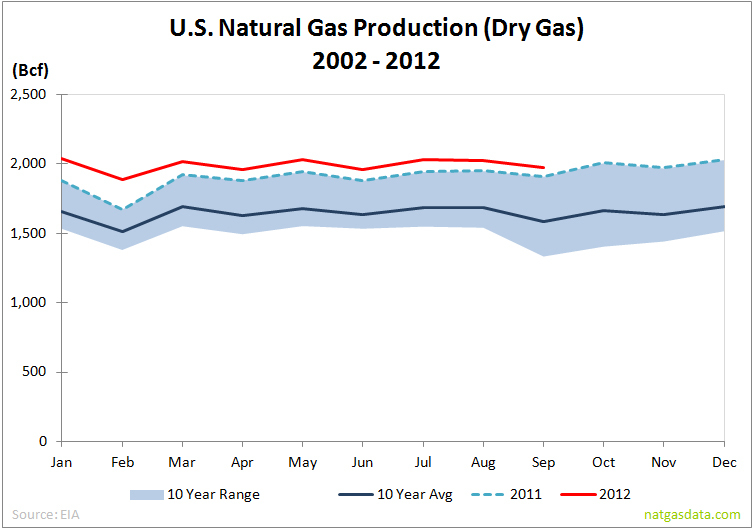 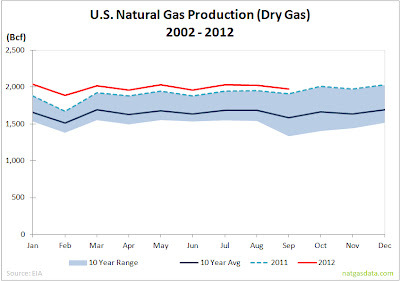 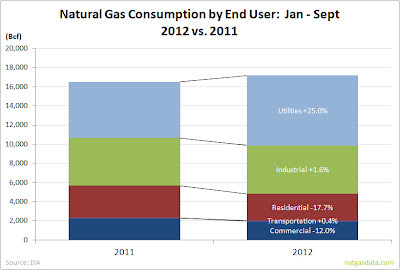 Utility consumption represented 7.3 Tcf in 2012, an increase of 25.0% over 2012. 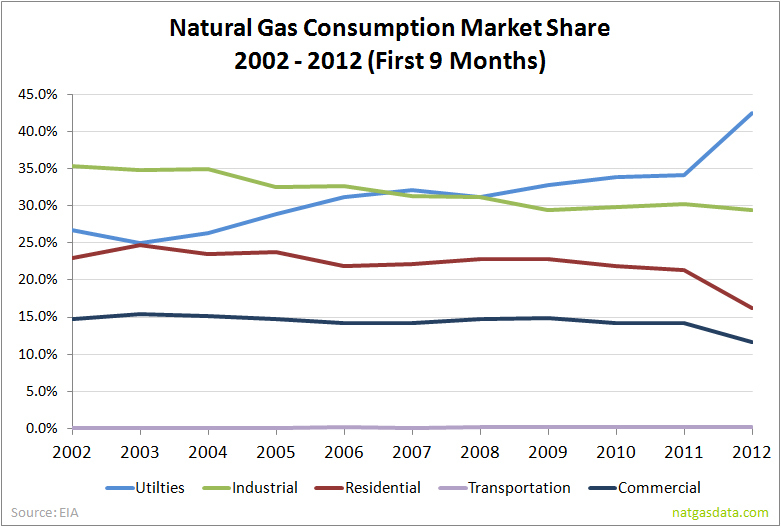 This growth has offset and outpaced combined declines in residential and commercial use. 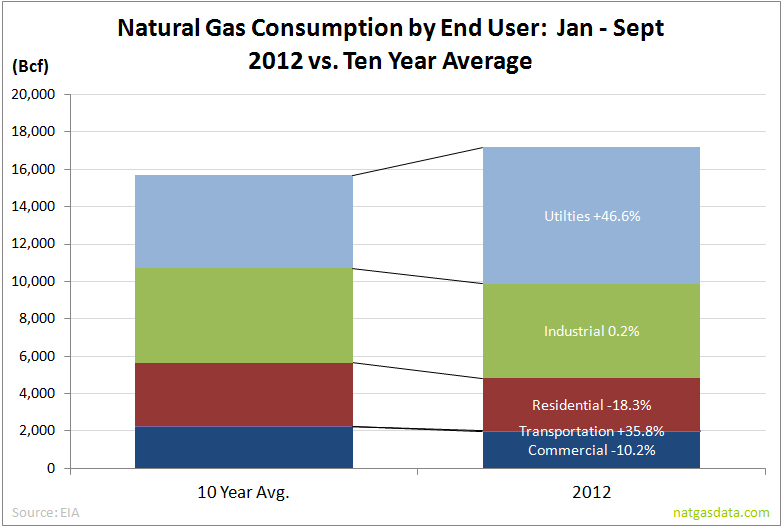 The growth is even more pronounced looking back over the past ten years, as 2012 utility gas use is 46.6% higher than the ten year average. The importance of utilities to gas consumption is particularly evident on the chart below, as the percentage of consumed gas going to utilities has increased from 34.1% in 2011 to 42.5% in 2012. 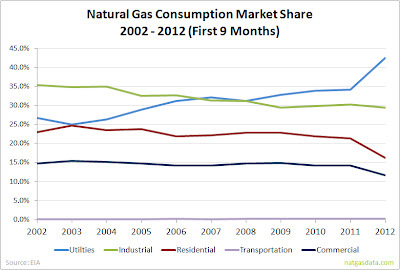 The bottom line is that production remains stubbornly high in a low price environment, but the low prices have created a situation where utilities are soaking up most of the excess production, which has helped to keep a floor under gas prices.